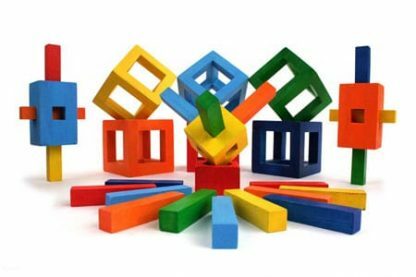 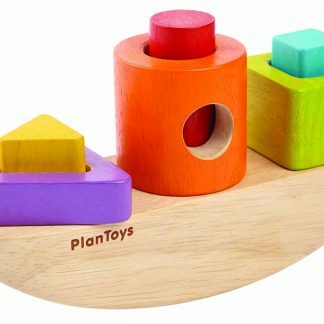 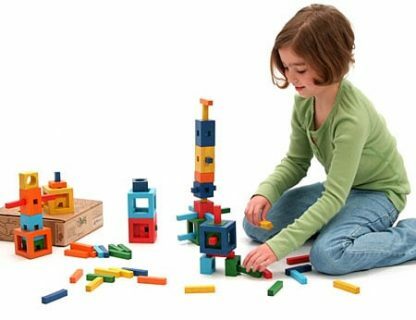 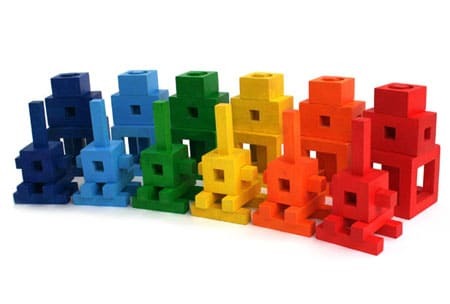 Twig invites open-ended block play with 72 precision-cut wooden blocks in vibrant colors. Blocks are compatible one with another, and posts slide easily into corresponding openings. 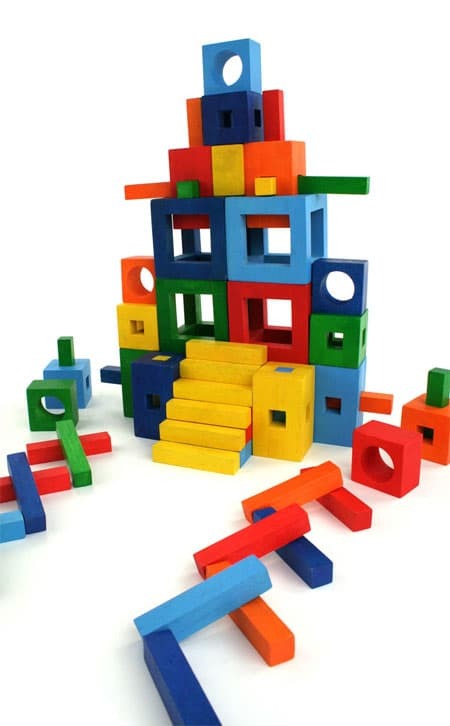 Block play is fundamental. 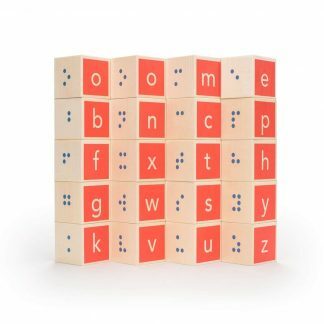 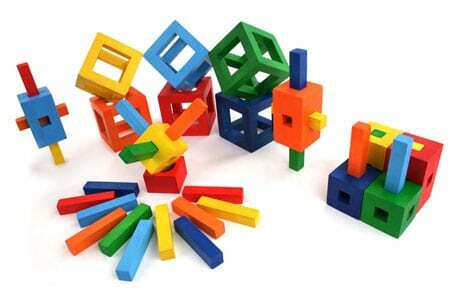 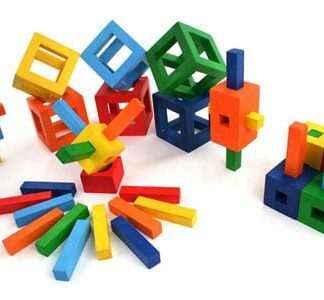 Twig brings new opportunities and challenges with unique open-sided cubes, solid blocks with square openings, and posts that slide easily into and through the blocks. 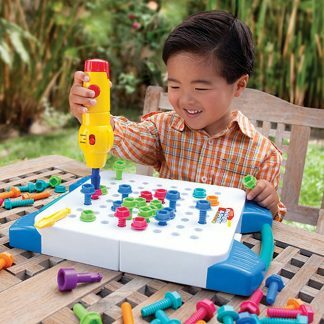 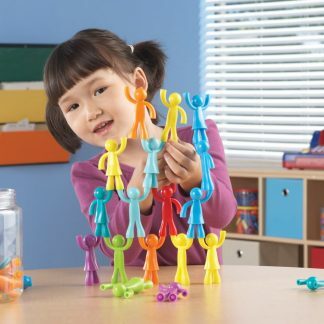 Designed to encourage artistic expression and visual thinking, Twig refines eye-hand coordination and fine motor skills, develops spatial awareness, creative thinking, and problem solving. 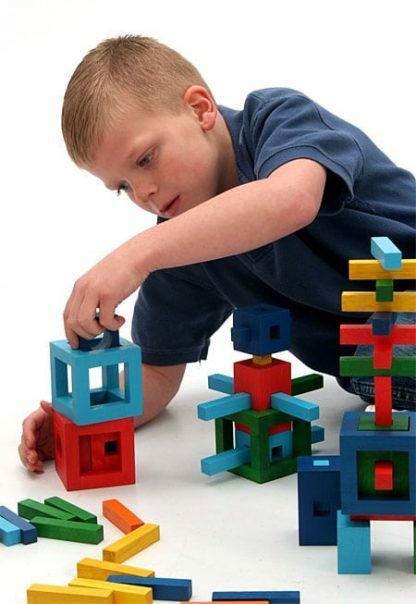 Building with Twig improves executive function and expands understanding of balance and mathematics from numeracy to geometry. 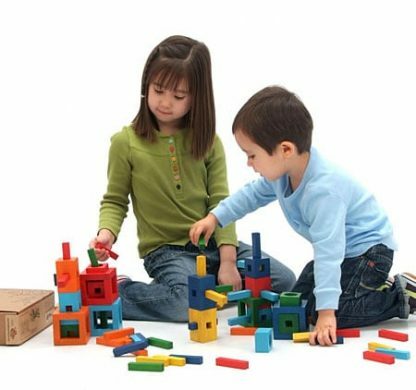 Cooperative play enhances language and builds social skills as team members articulate ideas and agree upon a plan. 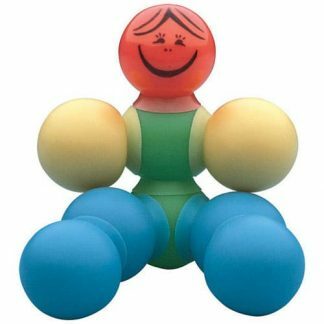 Comes with drawstring storage bag.